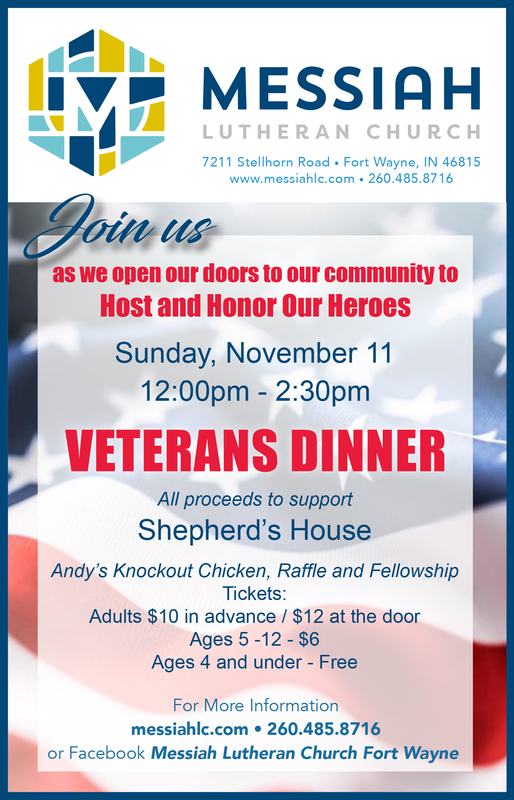 Veterans Dinner Sunday, November 11. Join us for dinner and fellowship. Tickets are available at $10 adults, $6 ages 5-12, no charge ages 4 and under. Tickets are $12 at the door. All proceeds will benefit Shepherd’s House.